…of the men’s tennis game for some years has been the Big Four: Novak Djokovic, Roger Federer, Andy Murray, and Rafael Nadal. Since 2006, only three other players have won a Grand Slam Tournament, and no one else has been ranked world No. 1. But since 2013, the dominance of the Big Four has come under sustained and increasing pressure. New players are challenging Djokovic, Federer, Murray, and Nadal. The rivalry between the old guard and (mostly) young contenders makes this the golden age of tennis. Nick Kyrgios beat Nadal in the fourth round of 2014 Wimbledon. In 2017, David Goffin beat Djokovic in Monte Carlo; Dominic Thiem beat Murray in Barcelona; Sascha Zverev beat Federer in Montreal; and Denis Shapovalov beat Nadal, also in Montreal. 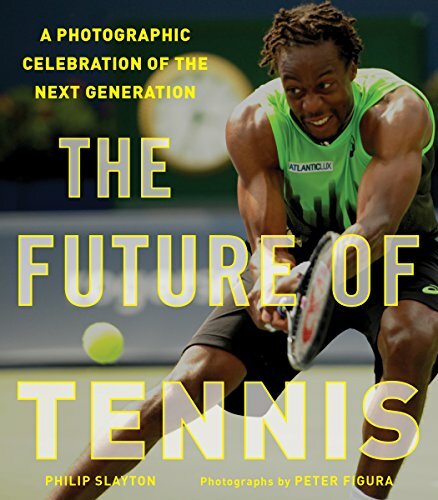 In The Future of Tennis Philip Slayton and Peter Figura examine a selection of the players outside of the Big Four and introduce the reader to the great depth of field in the men’s game and the personalities that enliven the sport. Complete with stunning photography by Peter Figura, this book will answer questions about who are some of the other players on the tour, what drives them, and give insight into their foibles and eccentricities. The perfect gift for tennis aficionados!